Intellisense is one of the most frequently used features of SQL Server in the development community – so much so that if Intellisense stops working, work comes to a grinding halt and frantic calls to the IT team are made. This post documents the steps, in order of most common occurrence (in my experience) that can be taken when faced with an issue that relates to Intellisense. Assumption: The user is attempting to type in code in the code block, i.e. not in the comments block or string literals. Review the code – does an error exist such that the queries in the particular query editor cannot be parsed? While Intellisense kicks back to life in most cases after the above steps are performed, it is still possible that it may cease to work in rare cases. 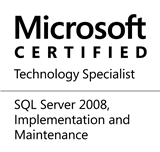 The last step in this case is to reinstall the SQL Server client tools. This entry was posted in #SQLServer, Blog, Imported from BeyondRelational and tagged #SQLServer on April 24, 2014 by nakulvachhrajani. Thanks, @prabhupr – it’s a good idea. I will give it a thought.